It's fair to say that London has a bit of a thing for poké. Pronounced 'poh-kay', this Japanese-inspired Hawaiian dish popped up in the capital a few years ago and it's been everywhere ever since. And for good reason. Marinated fish served on a bed of seasoned rice, topped with fresh and colourful toppings from avocado to pineapple and more, poké is a satisfying and healthy dish that foodies absolutely love. If you're looking to get in on the trend, here are some of the best places for poké bowls in London. Plus, all these poké bowls are available to order with City Pantry, so you can skip the lunch rush entirely. 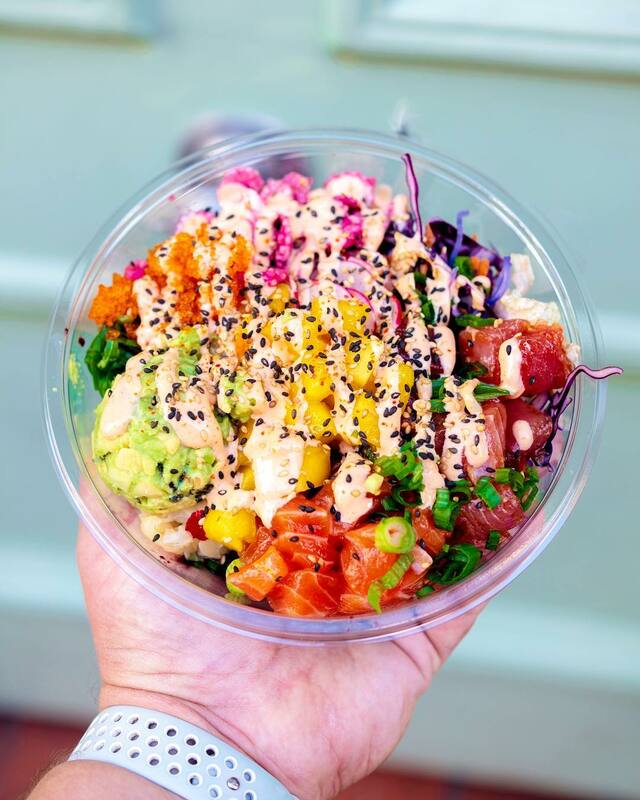 Serving up laid-back LA vibes as well as some of the tastiest Japanese-Hawaiian fusion, Ahi Poké is a name worth knowing in London. That's because their concept is as simple as it gets - well-priced, premium produce that's made fresh to order. It's as easy as that. 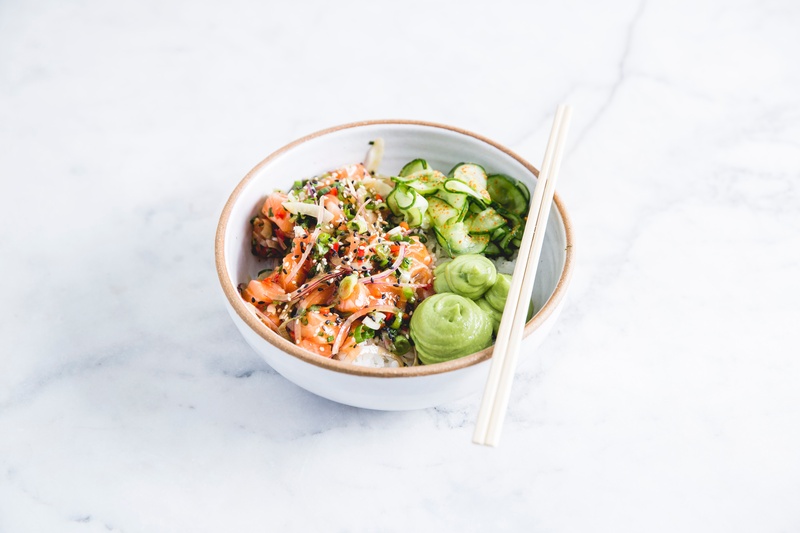 Start off with the Heat Wave poké bowl, one of Ahi Poké's famous signature dishes that's a combination of quinoa, salmon, avocado, kimchee cucumber, and red onion. Fun, flavoursome, and fantastically tasty, it's guaranteed to have you placing an order for the office time and time again. If you work in the city, Island Poké is about to become your new go-to lunch spot with City Pantry. 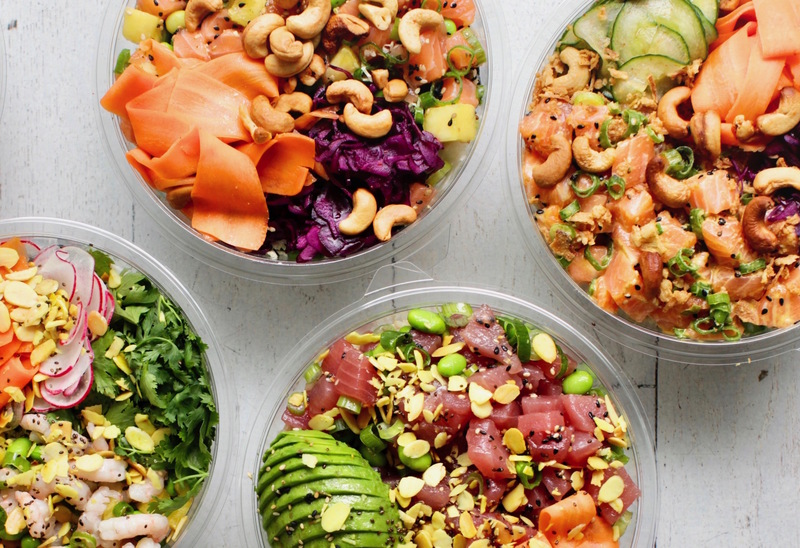 With 6 London locations to choose from, it's never been easier to bring poké to your office. Not only are their flavours authentic and exquisite, but what really sets Island Poké apart is their ingredients. Using only prime, sashimi-grade fish that's delivered the same day it's served, Island Poké serves up some of the freshest fish in the city. And you can really taste this freshness with their Classic Ahi: a bowl of ahi tuna shoyu with sushi rice and pineapple chilli salsa. It's as good as poké bowls get in London. 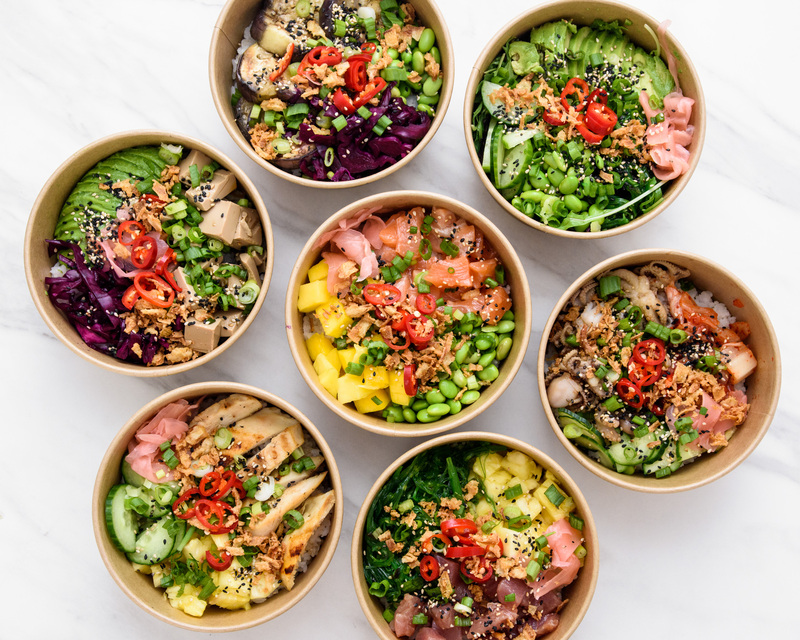 Riding the wave of the Hawaiian poké phenomenon which swept its way through New York and LA before landing on British shores, Honi Poké brings full-on Pacific flavour to London. With a menu crafted by culinary genius Richard De La Cruz - a bona fide Michelin starred chef - they offer more enticing options than you'll know what to do with. There's five signature poké bowls serving up a choice of salmon, tuna, tofu and even flame-torched octopus, which is made-to-order. Feeling spoilt for choice and not sure which to try first? We suggest Honi Poké's popular Crab Meat poké bowl, which blends crab meat with edamame, chuka wakame, and black fungus, which is so much better than it sounds. A poké pop-up that has recently found a permanent home in the city, Polu Poké is as famous for their long queues as they are for their delicious fish and rice combos. 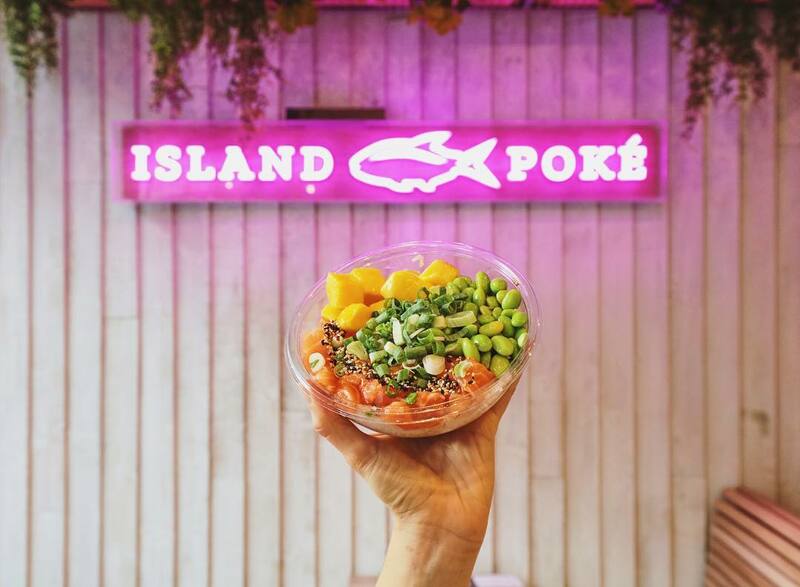 One of the first places in London to showcase this Hawaiian delicacy, their menu has all the goodies you'd expect for a poké bowl: like spicy tuna, yuzu salmon and miso tofu. Where Polu Poké stands out though is their extensive range of crunchy toppings and original marinades (think Asian guacamole and yuzu citrus sauce) that you won't find anywhere else. But the best bit? 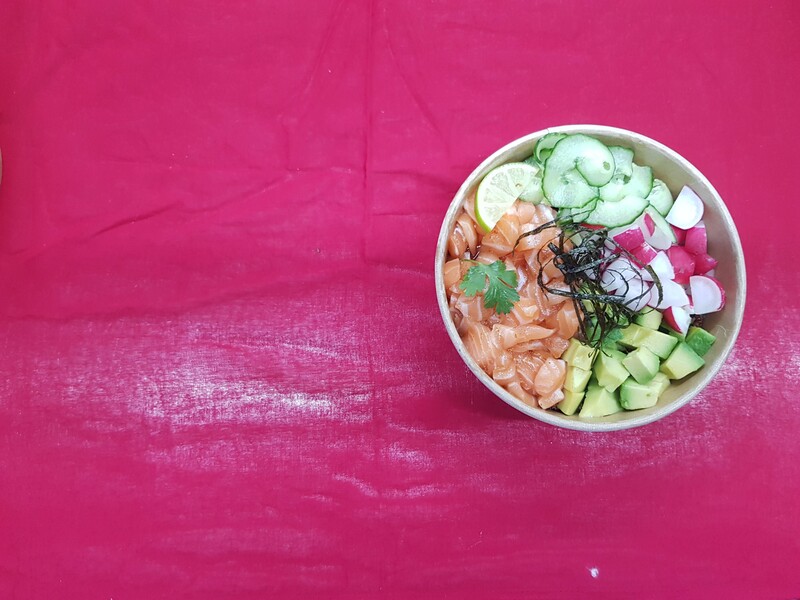 You can order Polu Poké for your office with City Pantry and skip those queues entirely. When it comes to being on-trend and tasty, it doesn’t get much better than Tombo. Seamlessly blending traditional Hawaiian recipes with an infusion of Japanese ingredients, this exotic eatery lets you order amazing blends of these two delicious cuisines. More of a premium option than some of the poké places on this list, every poké bowl at Tombo is served with large, generous pieces of fish and additions like kimchi, tobiko fish roe and Japanese pickles. And if the diverse menu here has you caught in a tailspin of what to order, keep it simple with Tombo's Tokyo Classic poké bowl. A fresh and delicious mix of salmon sashimi with soy, sesame seeds, and nori. Tapping into their 'Aloha spirit', Maui Poké serves some of the most authentic Hawaiian poké that London has to offer. The perfect place for both poké enthusiasts and first-timers, Maui Poké serve tried and tested traditional-style bowls along with unique combinations featuring teriyaki tofu and huli huli chicken. All their poké bowls also come with a specially-created crunch mix, which adds an irresistible contrast of textures in every single bite. London may be 7,000 miles from Hawaii, but Maki & Bowl make it easier than ever to bring the island's flavours straight to your office. 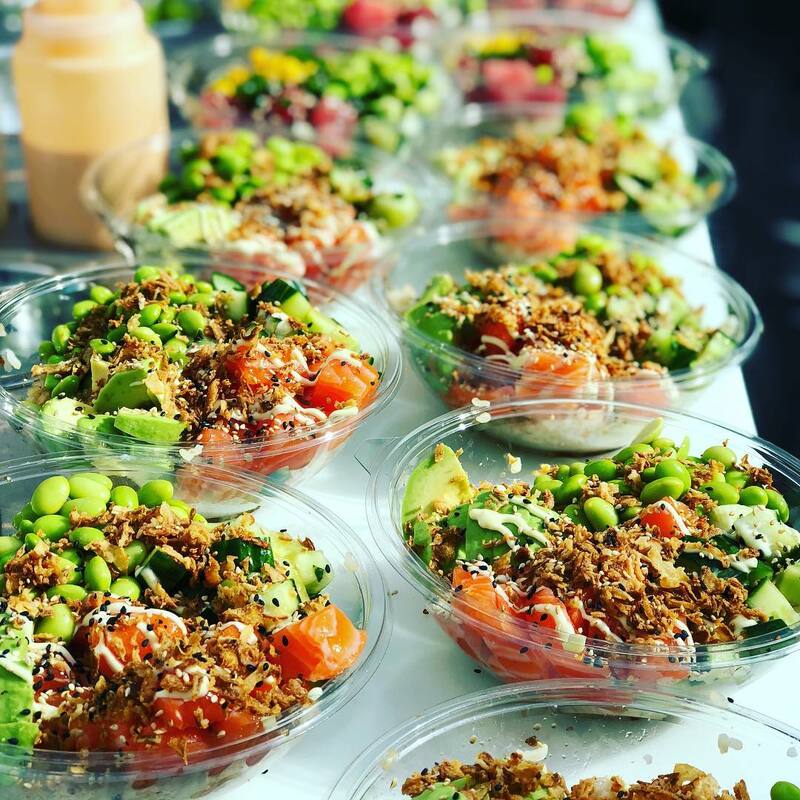 That's because Maki & Bowl take their beautiful poké bowls (made from fresh and high-quality ingredients) and serve them right in your office with a pop-up. That's right - build your bowl by choosing your base, your greens, your protein of choice plus a selection of house sauces and other toppings; have it made in front of you and then tuck in right away! So, if you're looking to bring a taste of Hawaii to your office? Look no further, thanks to City Pantry. Inspired by Australia's fresh and healthy food scene, Abokado is all about creating food that brings people joy. And their poké bowls totally nail it. Preparing each bowl from scratch, their produce-driven menu is filled with fresh and nourishing ingredients. Our top pick from the Abokado menu? It has to be their vegan poké bowl. 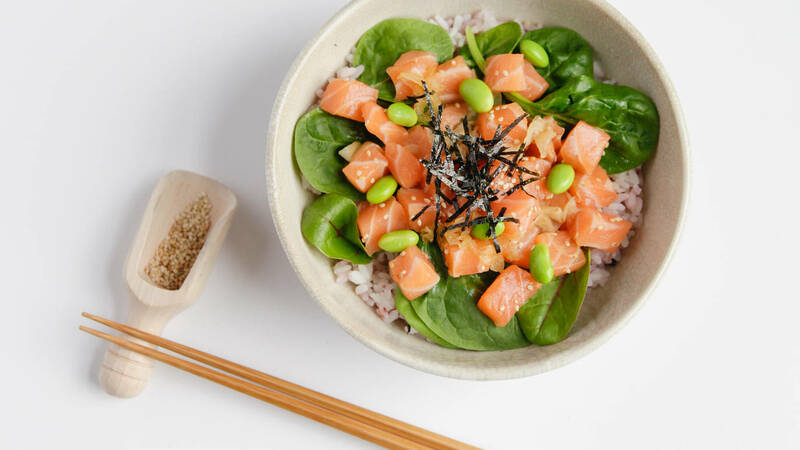 Featuring veggie gyoza, avocado, sesame, seaweed and all sorts of green goodies, you have our word that you won't even miss the fish from this poké bowl. With locations in Whitechapel and Vauxhall, this poké place give their dishes more of a Japanese twist. 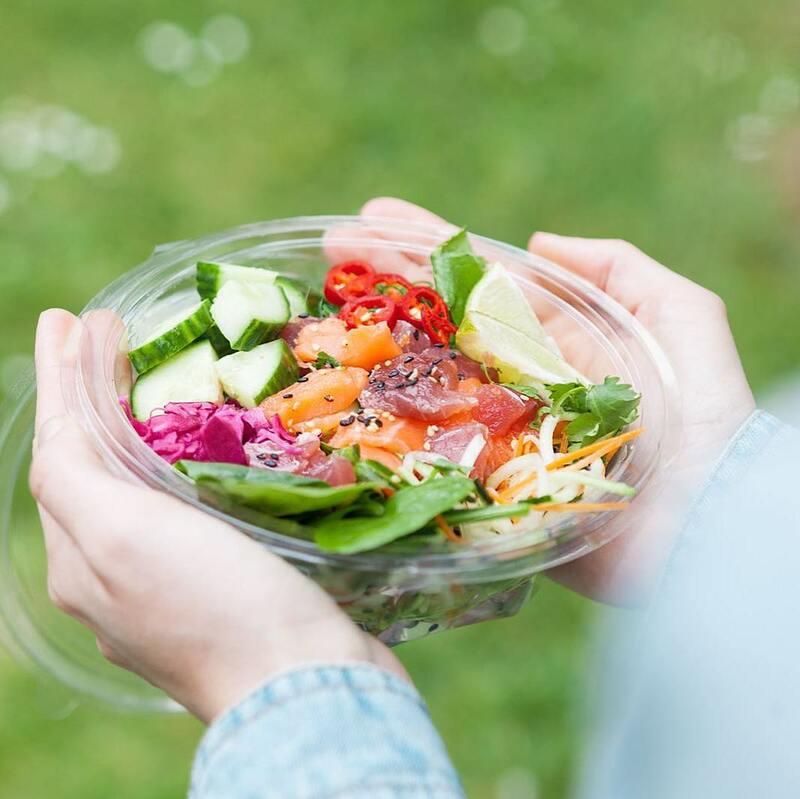 Offering tantalising toppings such as sriracha mayo and kizami (a type of Japanese seaweed), Poké Zone know that the key to great poké is that all the ingredients have to be incredibly fresh. And so they go above and beyond with their fresh poké. For first-timers, try the Koho Koho bowl which is a buffet bowl of all the fresh fish that Poké Zone have to offer. And if you can't have gluten? 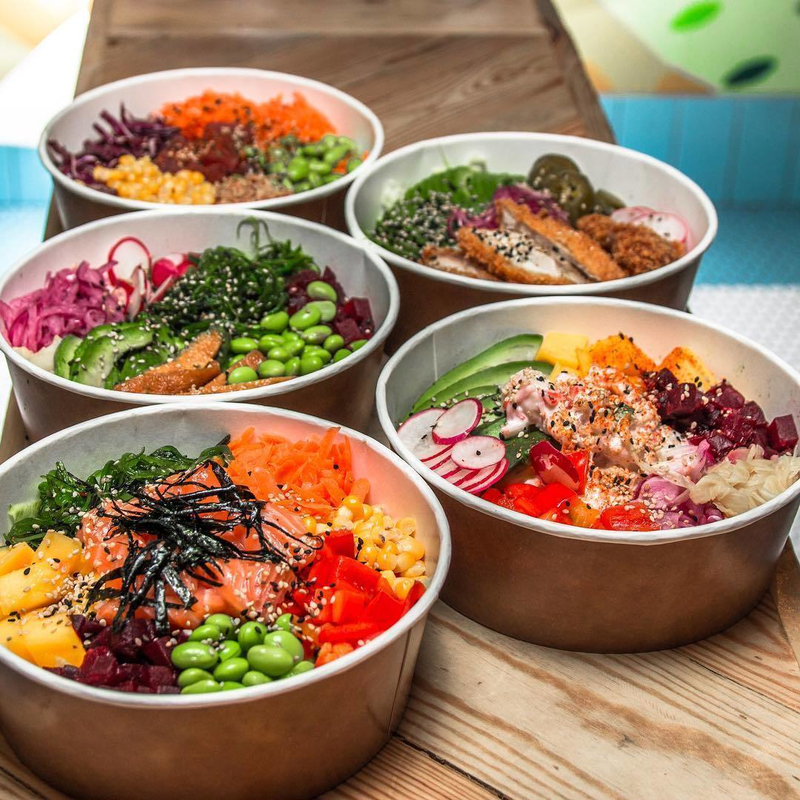 Poké Zone are one of the only places that have gluten-free poké bowls in London, so you don't have to miss out no matter your diets or allergies. If you like your poké to taste as good as it looks, SushiDog's poké bowls are as Instagrammable as they come. SushiDog rose to fame in London because of their unique sushi burritos, but their poké bowls are why people return again and again. If it's your first visit to SushiDog, dig into the playfully named Ha-Tuna Matata, a perfectly balanced poké bowl with ahi-tuna that's a fresh and colourful taste sensation. Ready to dig into a delicious poké bowl? At City Pantry, we deliver every single one of these poké places straight to your office. No fuss. No hassle. And all for the same price as going direct. So what are you waiting for? Jump on the poké bandwagon and check out all the options in your area.